Afro-pop superstar and Baseline artist Skales releases his sophomore album titled ‘The Never Say Never Guy’ on Monday, 29th May, 2017. This is coming after a listening party (Industry Nite) in May. The album can purchased on iTunes, Spotify, Google Play Stores and Deezer. 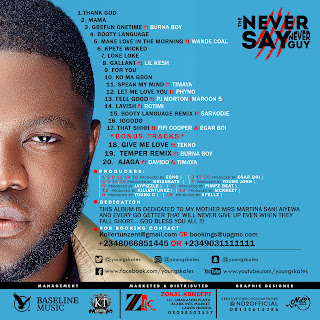 The Never Say Never Guy’ album is a 19-track album featuring an array of A-list industry names, some of them include world-famous American musical act, PJ Morton of Maroon 5, American actor and singer, Rotimi: Wande Coal, Burna Boy, Phyno, Lil Kesh, among others. 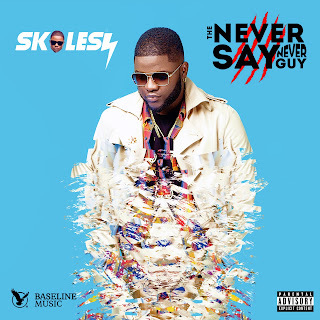 The Never Say Never Guy’ album is a direct follow-up to Skales’ 2015 debut album ‘Man of the Year’ which was a commercial success.